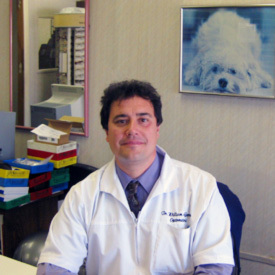 Dr. William E. Guerrero: Dr. Guerrero has owned and operated Throggs Neck Optical since 2011. Dr. Guerrero is a 1993 graduate of the State University of New York College of Optometry. Dr. Guerrero completed an ocular disease internship at The Wilmington VA Medical Center in Wilmington Delaware. He also completed a clinical rotation at the prestigious SUNY College of Optometry Contact Lens Clinic in New York City. He is licensed to diagnose, treat and manage most medical diseases of the eyes, including but not limited to glaucoma, conjunctivitis, and dry eyes. Professionally, he is highly interested in vascular diseases of the eyes, such as diabetic and hypertensive retinopathies. Annette has been with Throggs Neck Optical since 2016. Annette's friendly personality will assist you in scheduling appointments.